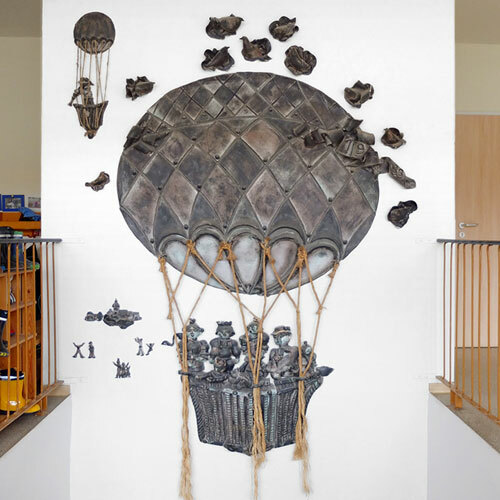 two beautiful wall reliefs are hanging each over the stairway in a kindergarten/-grippe in erfurt. 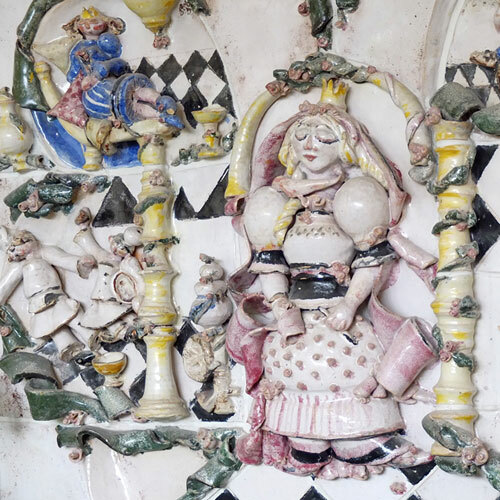 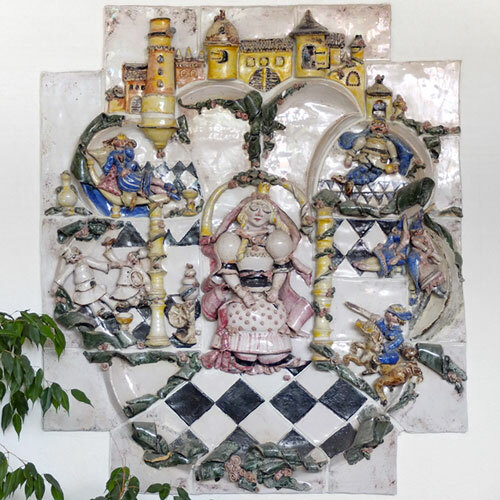 the faience piece illustrate the fairy tale ‹little briar rose› by the brothers grimm. 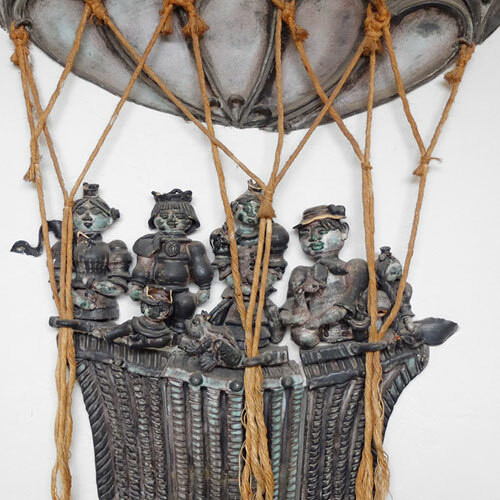 the wall decoration of the kindergarten shows some characters of grimms fairy tales in a hot air balloons, the frog king or the golden goose for example.